Apple Inc. took the wraps off a renewed iPhone strategy on Wednesday, debuting a trio of phones that aim to spread the company’s latest technology to a broader audience. The iPhone Xs, starting at $999, succeeds last year’s flagship model with a faster A12 processor and updated cameras. The iPhone Xs Max is a higher-end version with a 6.5-inch OLED screen, making it one of the biggest on the market — and one of the most expensive at $1,099 and up. There are 512 GB storage options for the first time. The third model, called the Xr, is Apple’s biggest hardware bet of 2018. It retains the key advances of the first iPhone X — facial recognition and an edge-to-edge display — but is cheaper while being noticeably larger at 6.1 inches. The price starts at $749, roughly in line with most analysts’ expectations. Apple used older LCD screen technology and aluminum, rather than stainless steel, edges. “We want to reach as many customers as we can with this incredible technology,” Apple marketing chief Phil Schiller said at Apple’s Cupertino, California, headquarters. 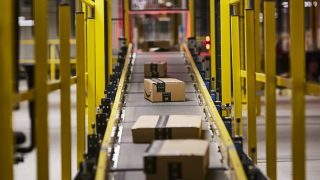 The shares slipped 1.2 percent to $221.07 at the close in New York. When Apple introduced the iPhone X last year at a starting price of $999, some analysts were skeptical that people would pay so much. But it has been the company’s best-selling smartphone. Now Apple is making the core features available on a range of devices that appeal to different budgets. The variety of models shows how the company is adjusting its strategy. Rather than luring millions of new iPhone users, Apple’s goal these days is to steadily raise average prices, while expanding the total number of active devices to support sales of accessories and digital services like iCloud storage, streaming music and video. At Wednesday’s event, Apple unveiled a new Watch with a larger screen and more health capabilities. 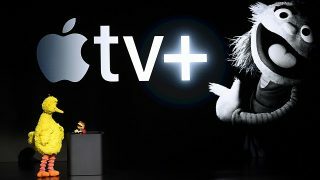 Earlier this week, Apple signed two deals for movies to stream via an upcoming online video service. Wall Street has embraced Apple’s evolution from a consumer hardware company into a more diversified technology giant with an installed base of 1.3 billion devices supporting a growing roster of digital services. The stock has jumped more than 30 percent this year, making Apple the first public company worth $1 trillion. On Tuesday, UBS raised its price target to $250, arguing a growing stream of recurring revenue from services and other offerings deserves a higher valuation than the more cyclical hardware business. The iPhone is still Apple’s most important product, generating about two-thirds of revenue. While global smartphone market growth has stalled, Apple has kept revenue rising by lifting average selling prices. 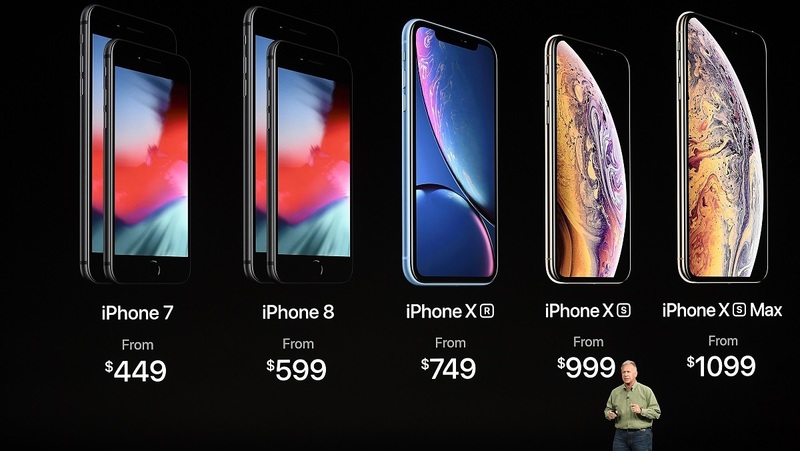 The three new iPhones have an average starting price of $949. The iPhone ASP was $724 in the most recent quarter. The $749 starting price of the iPhone Xr may pressure Apple earnings in the short term, but if it sells in large volumes that will create a bigger customer base for the company’s digital services. 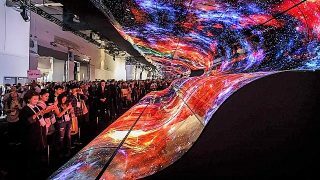 Data security, automotive innovations, 5G and AI were among the highlights this year. The U.S. now has two companies in rare stratosphere.